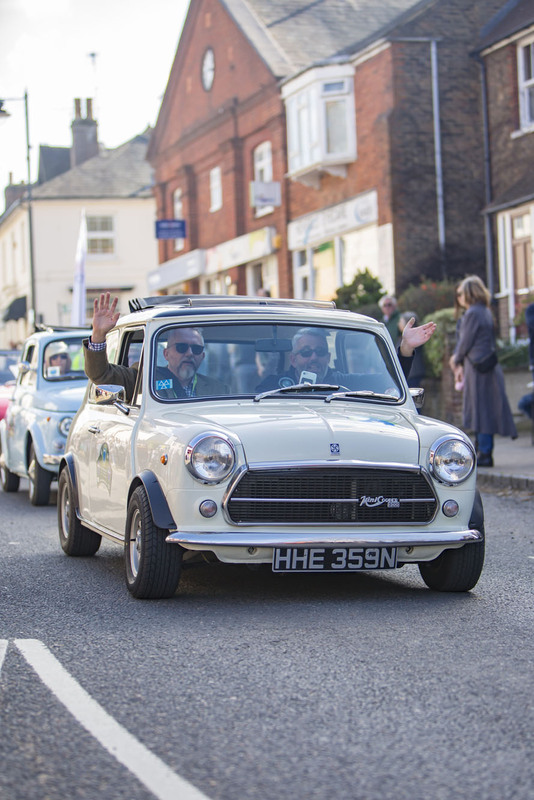 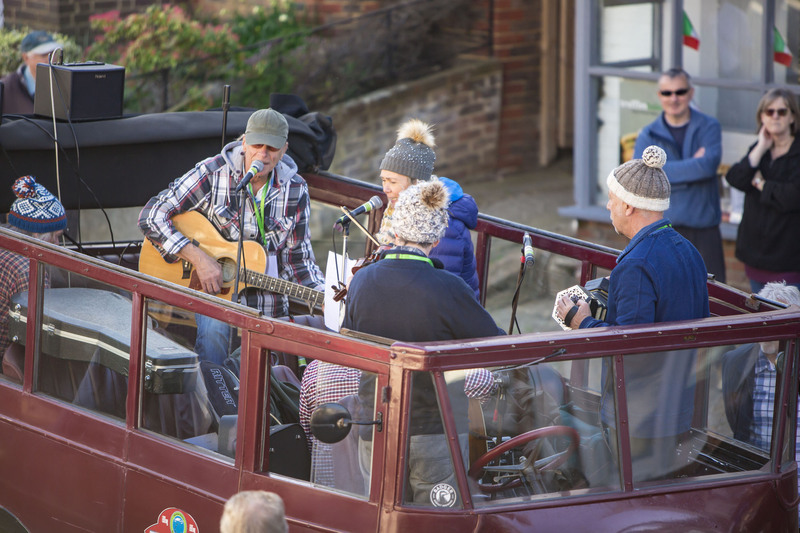 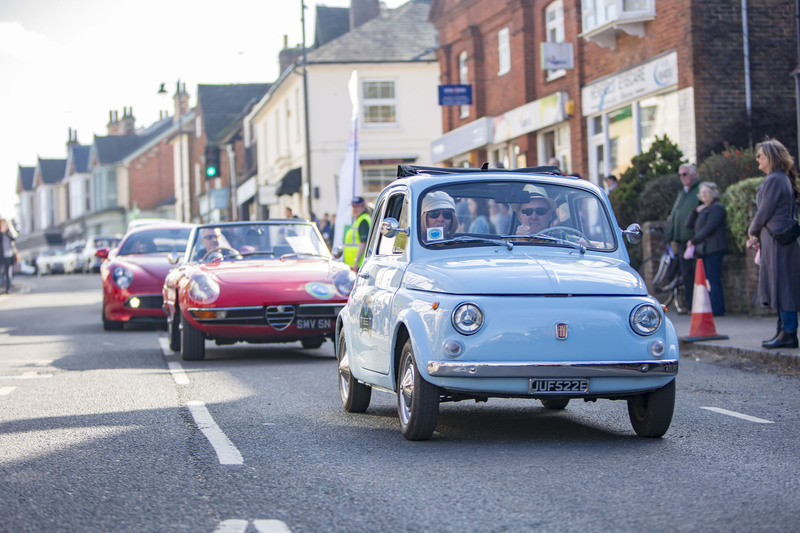 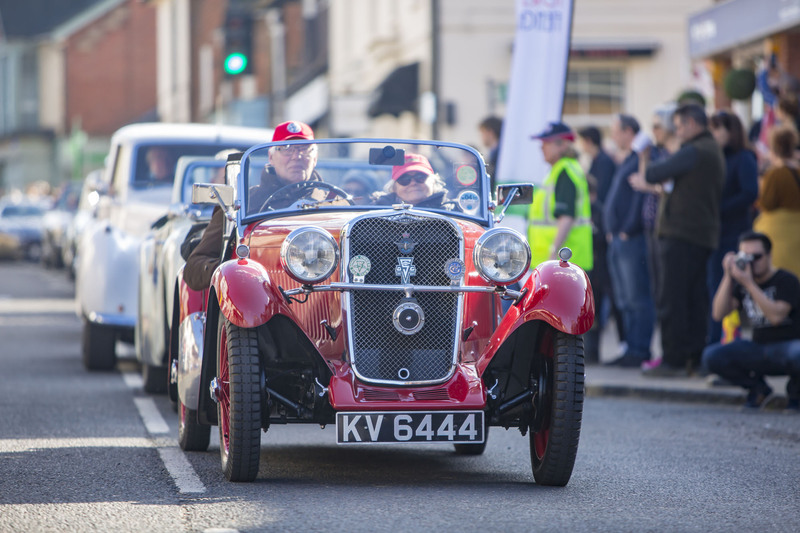 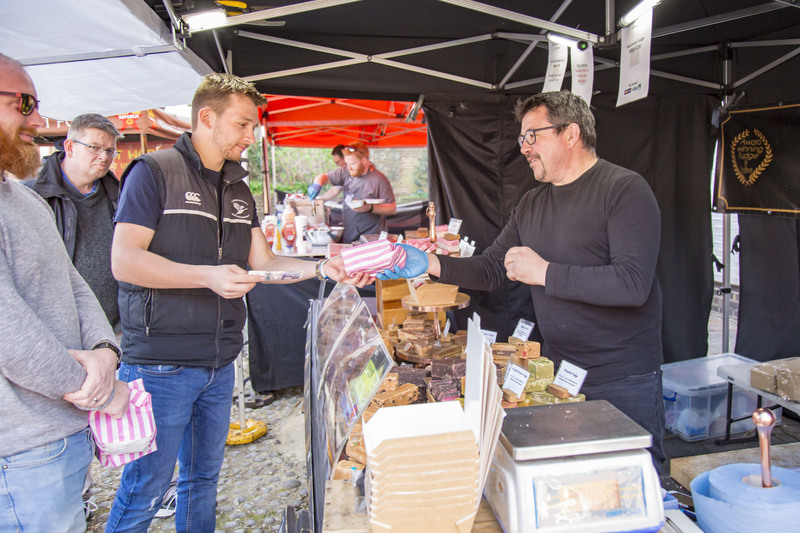 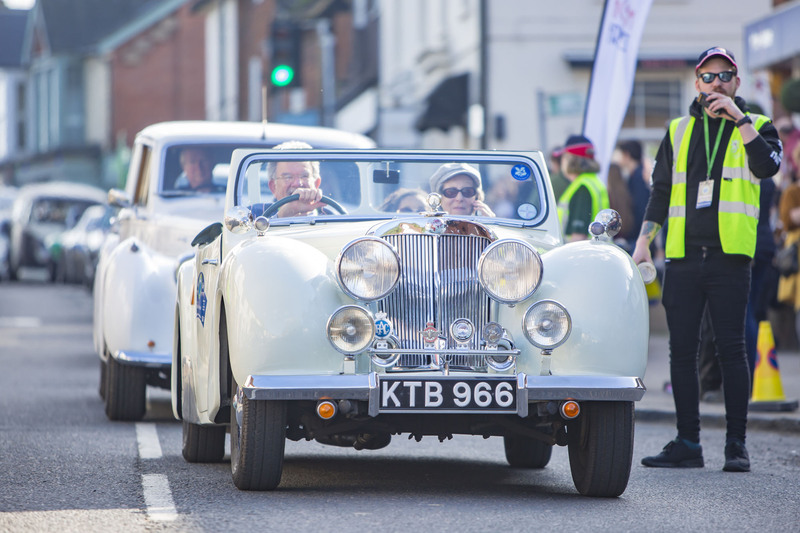 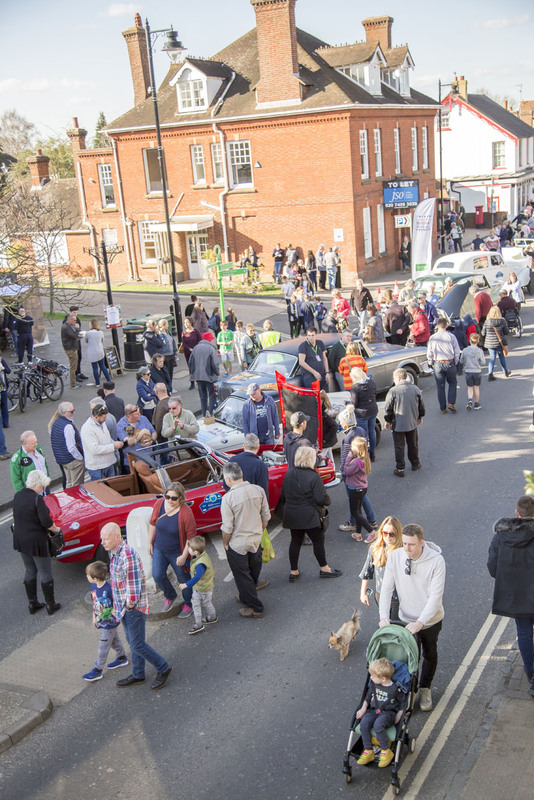 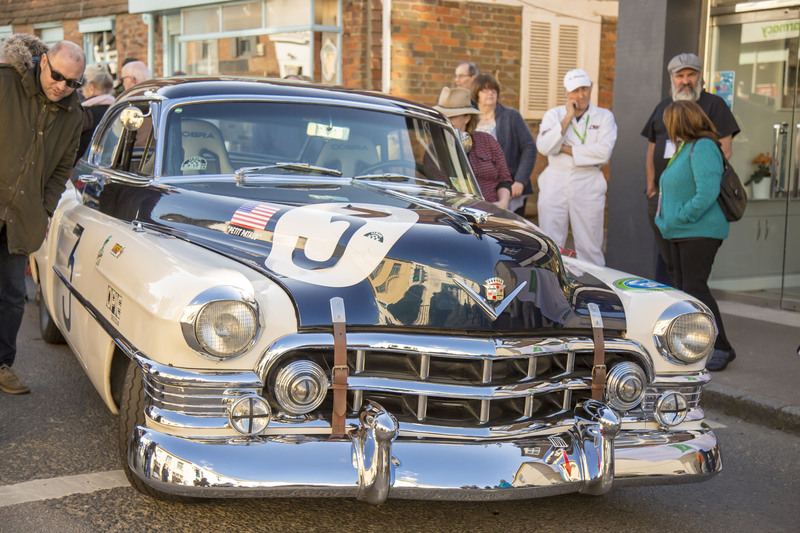 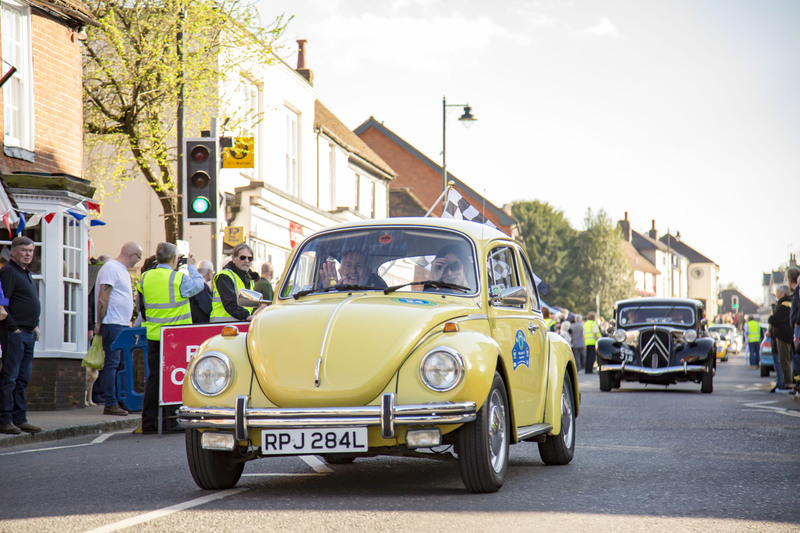 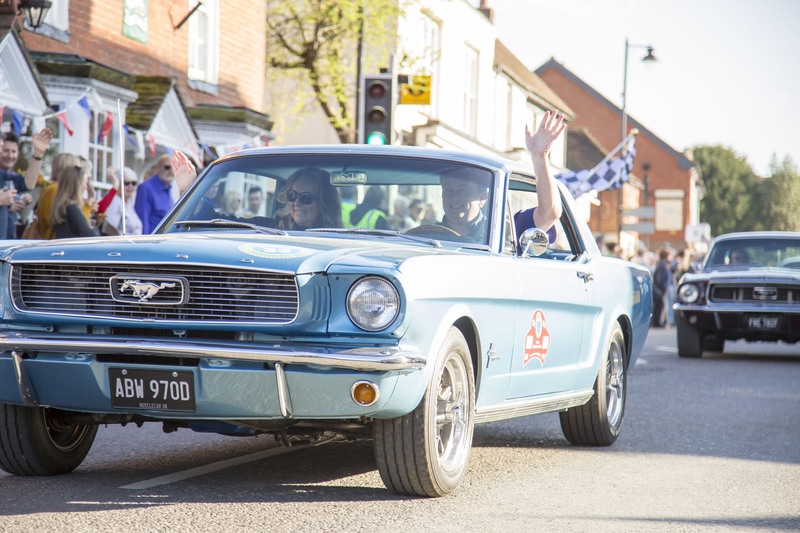 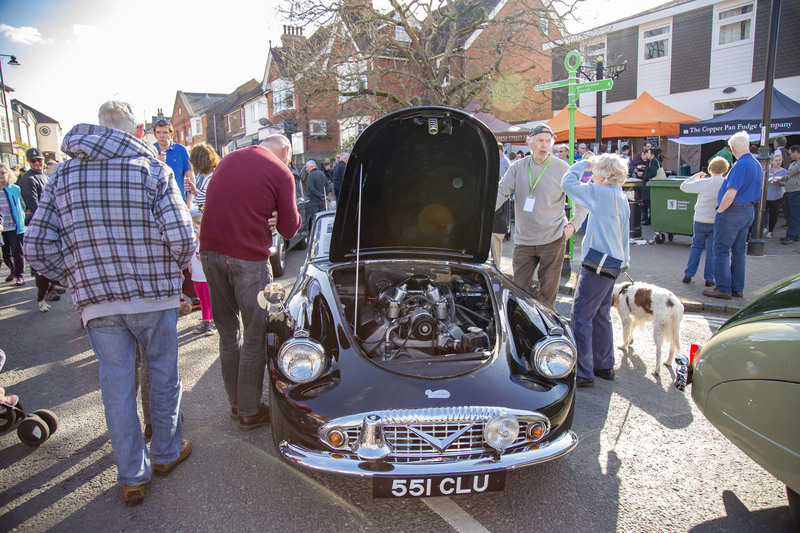 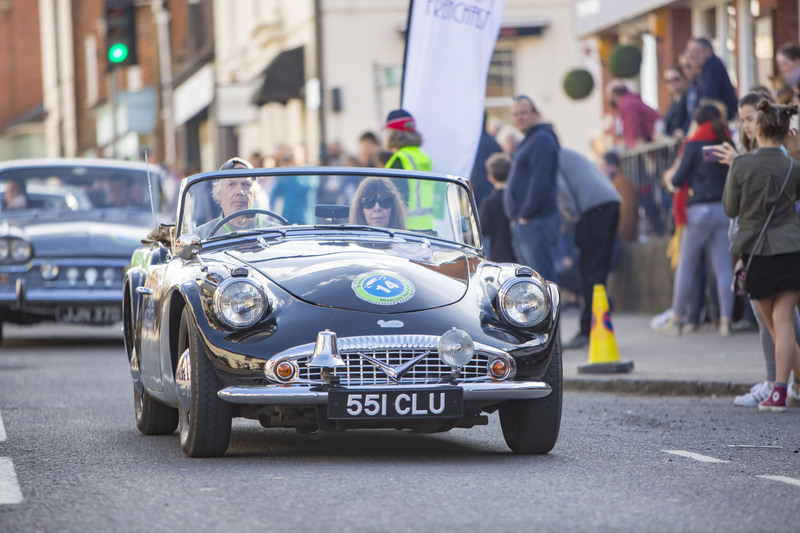 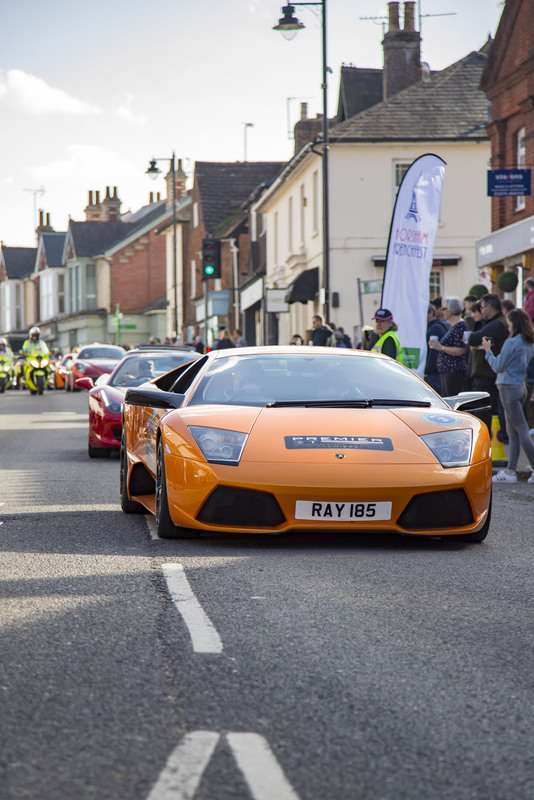 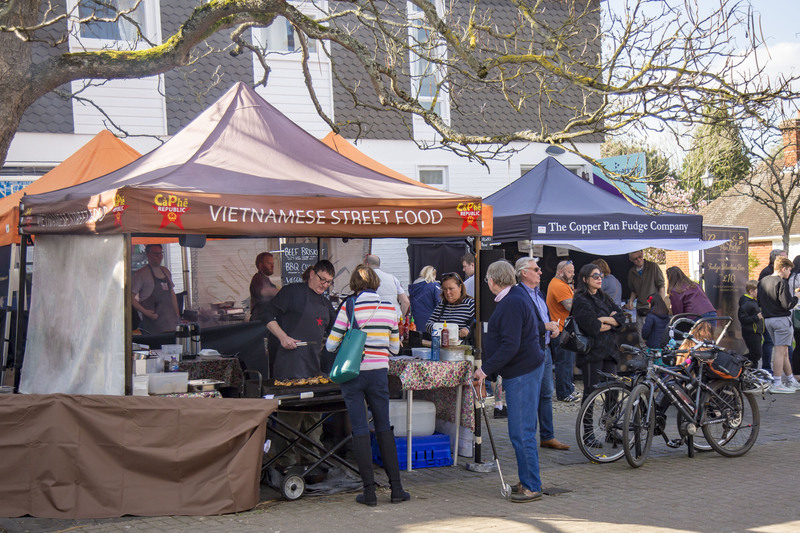 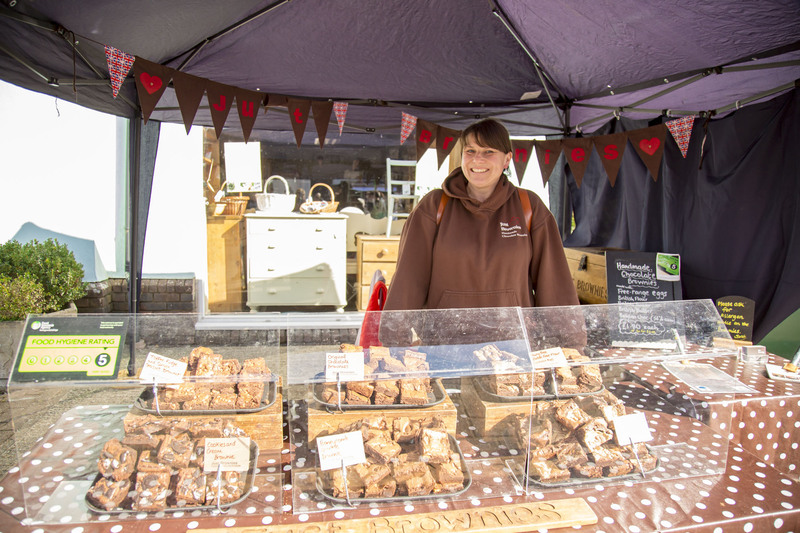 Crowds descended on the High Street on Sunday 24 March to greet the Horsham District Showcase Tour as it roared into Henfield with a flurry of colour, flags, noise and drama. 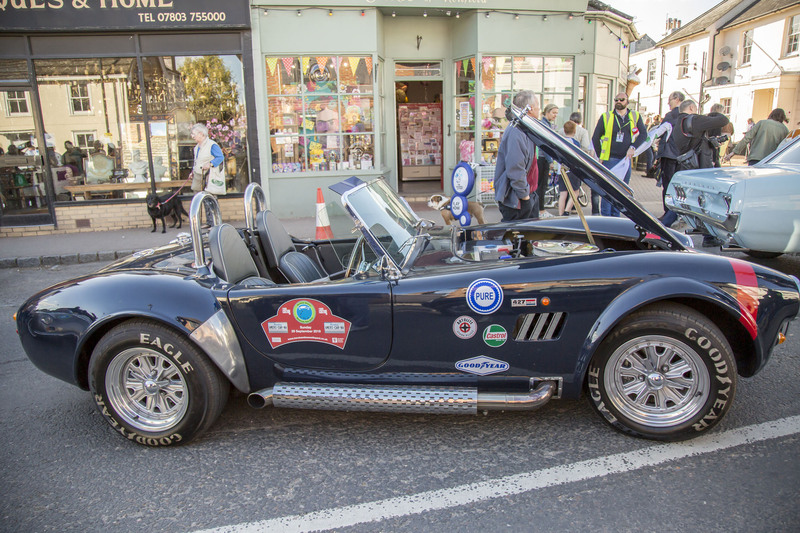 Over 40 cars representing the four Horsham weekends; Italian supercars from Piazza Italia, classic French cars from FrenchFest, vintage VWs from Plum Jam, muscle cars from AmeriCARna and classic British cars from The Great British Weekend combined to make up an eclectic mix of all things automotive to thrill and delight the vast crowds. 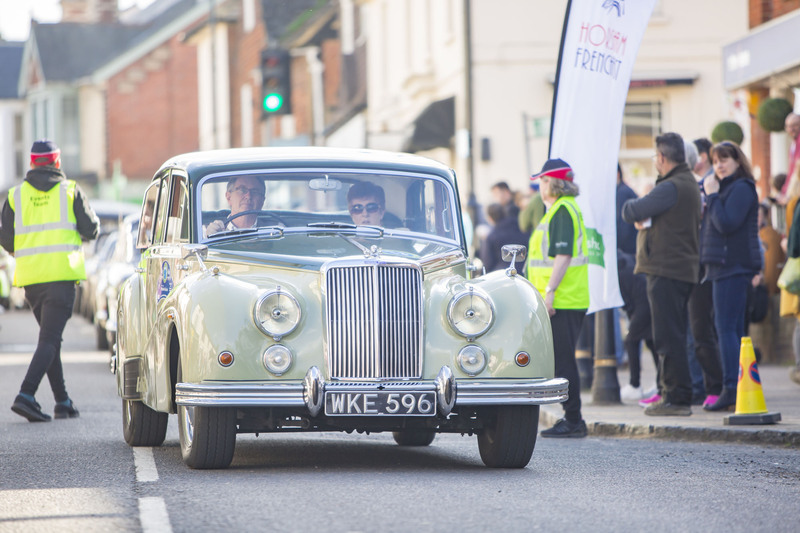 Henfield was the final pit stop on the tour and greeted drivers and the team of Showcase Tour volunteers with an enthusiastic welcome in the beautiful spring sunshine. 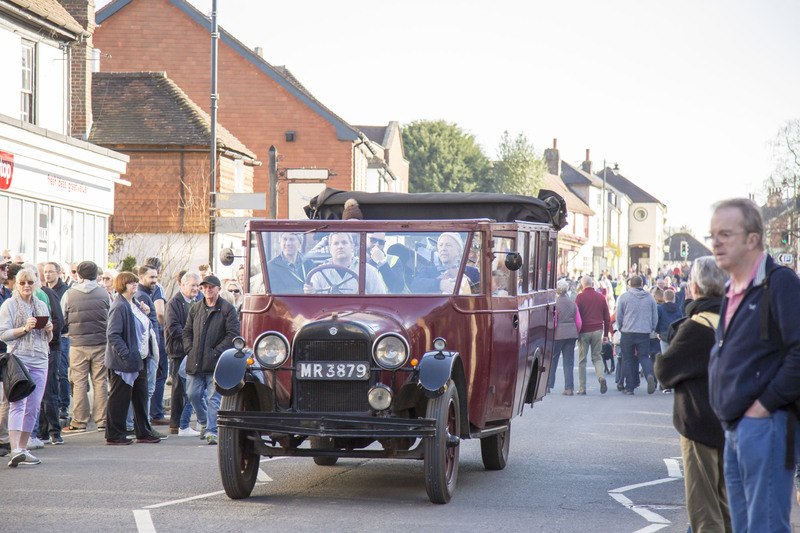 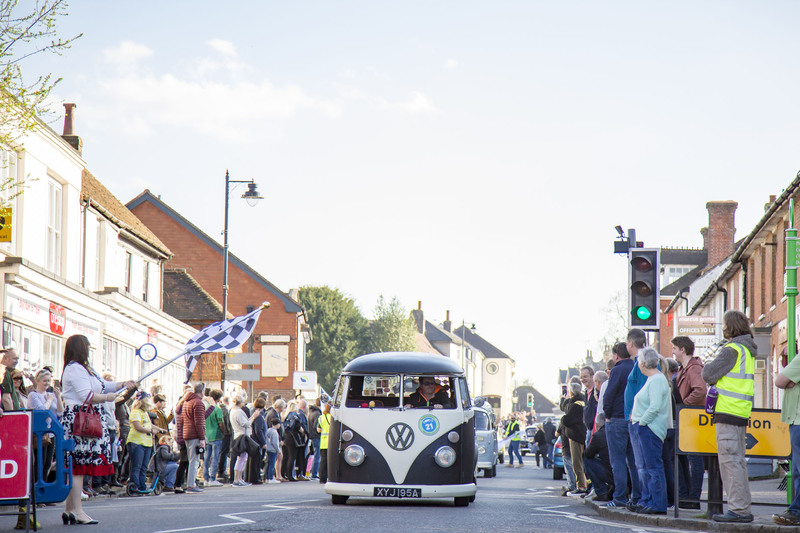 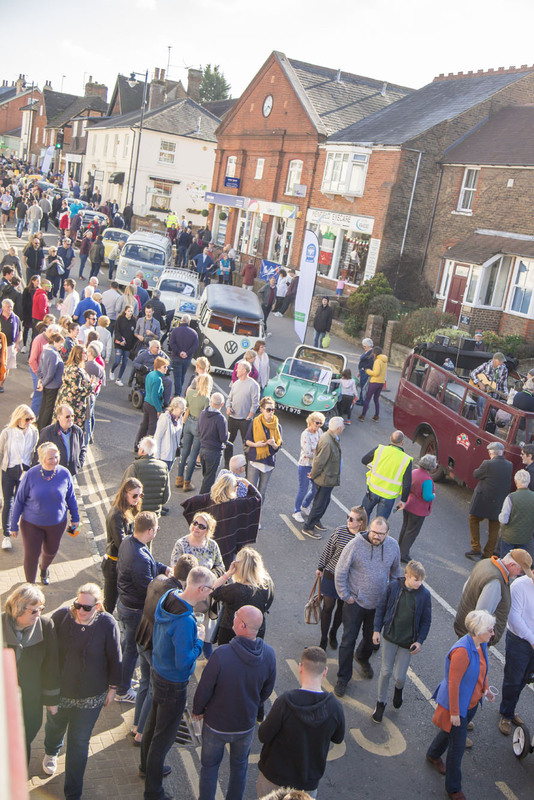 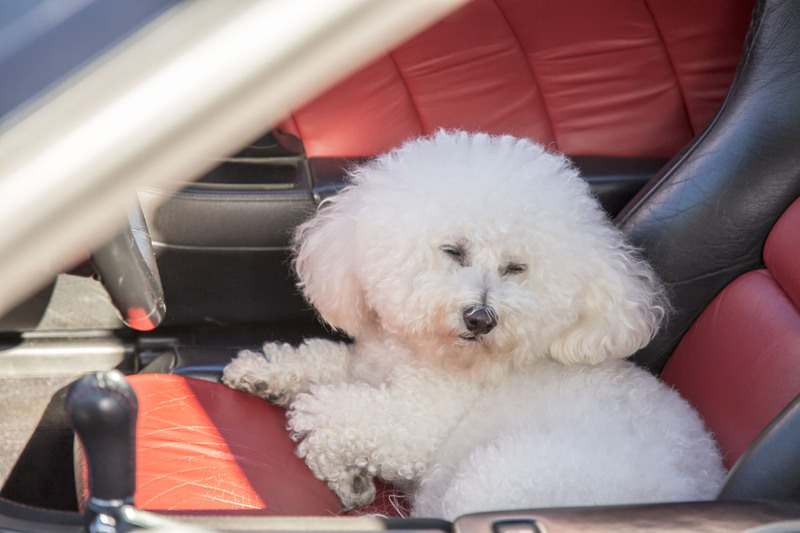 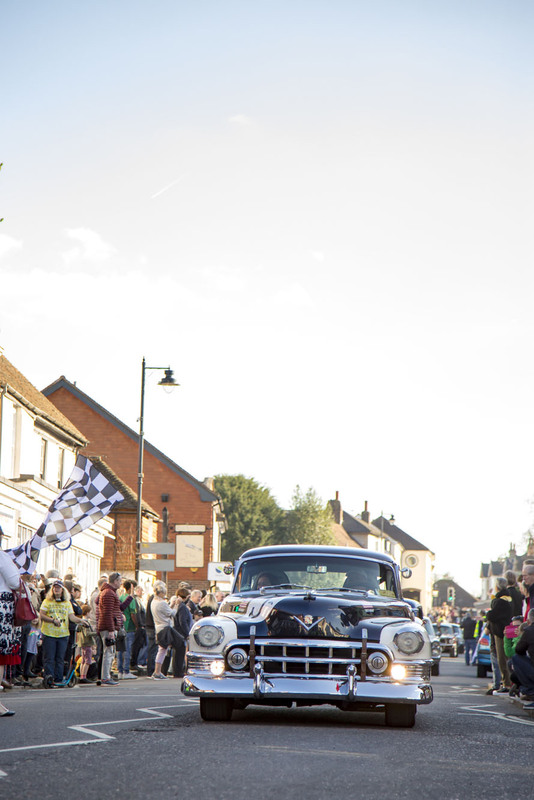 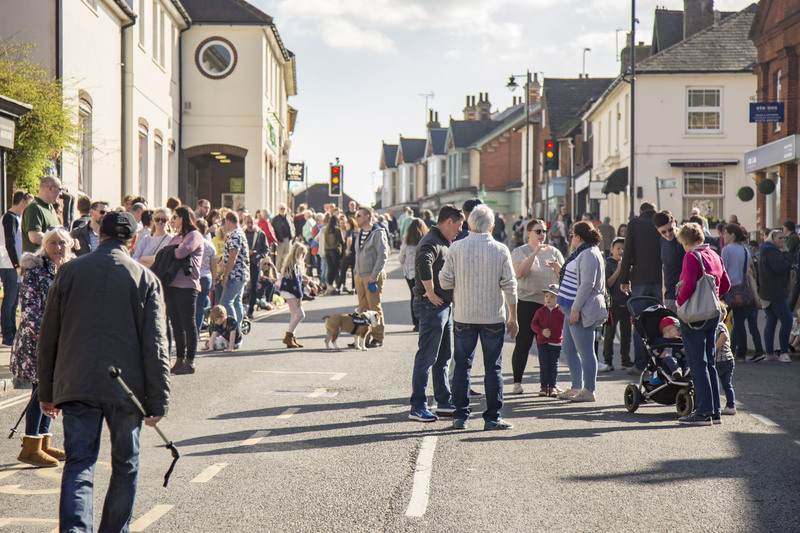 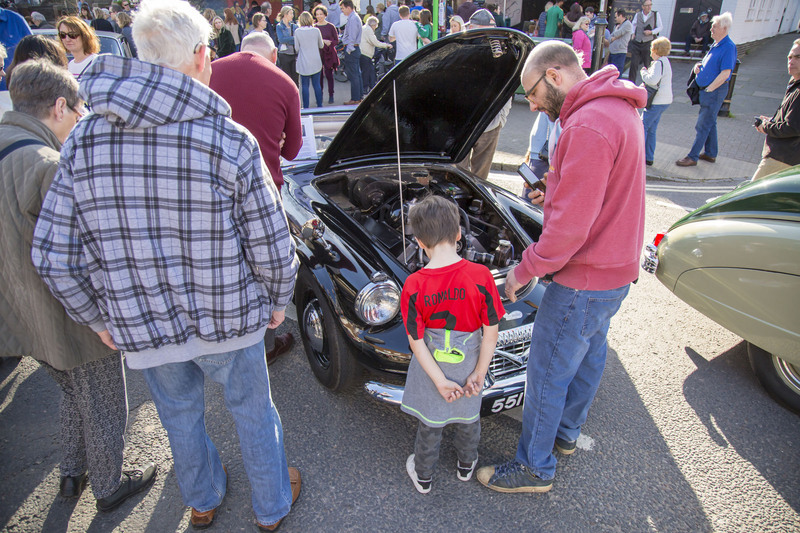 Crowds had already enjoyed the freedom of a traffic-free High Street to mix amongst the music and entertainment, street food stalls, and vintage cars displayed by local collectors. 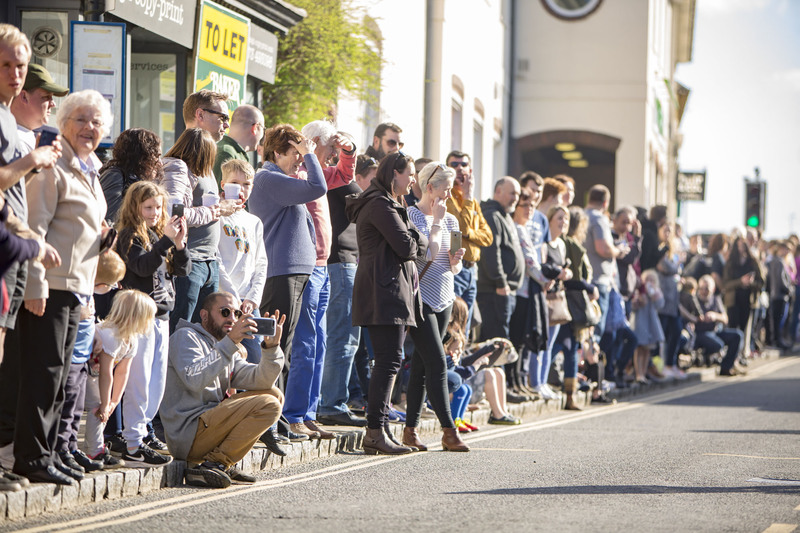 The three High Street pubs hosted crowds of people enjoying a cold beer with friends as they spilled out onto the streets, giving the village a real carnival atmosphere. 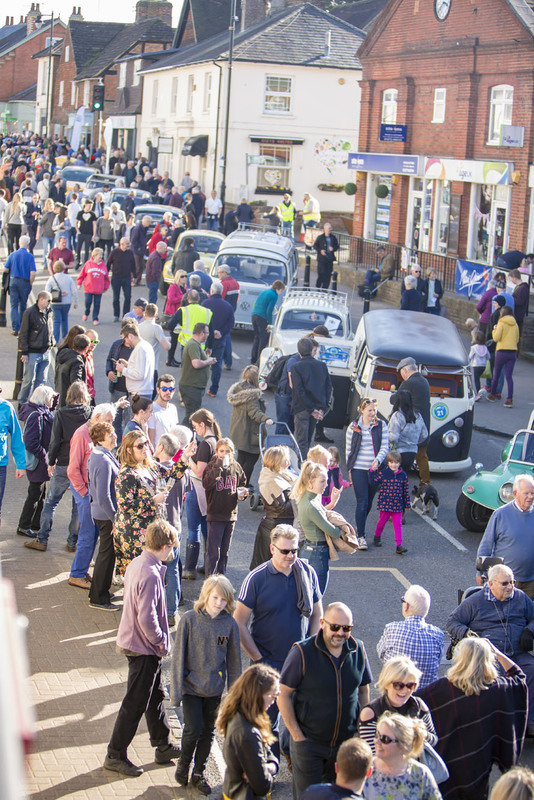 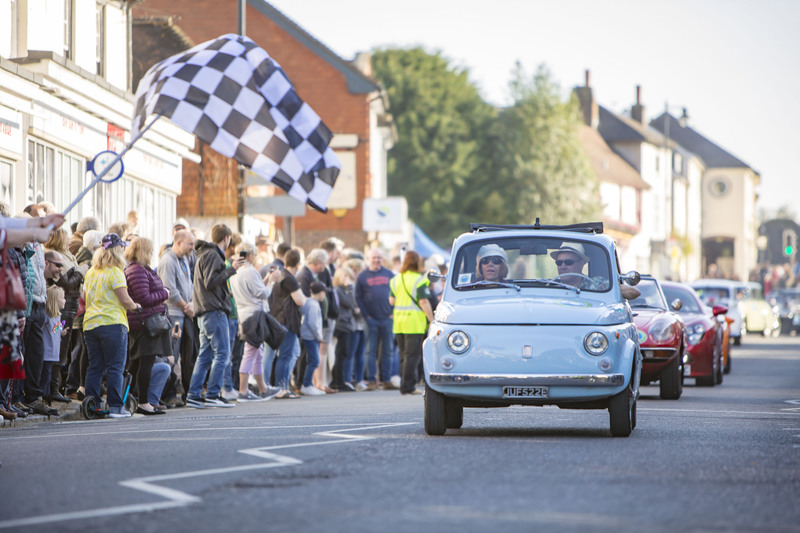 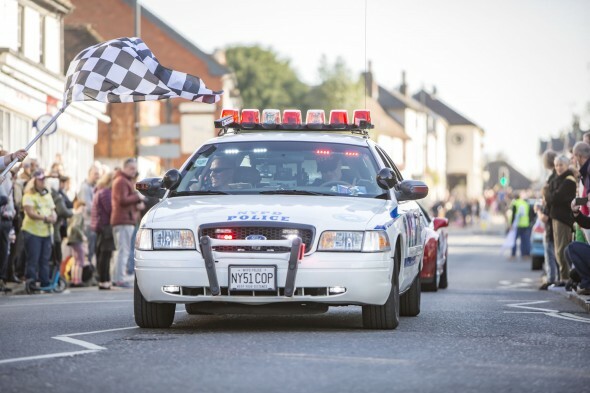 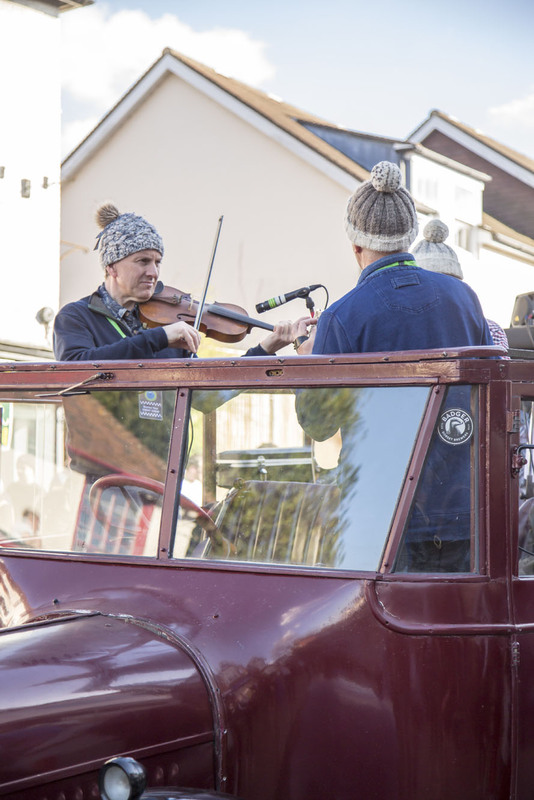 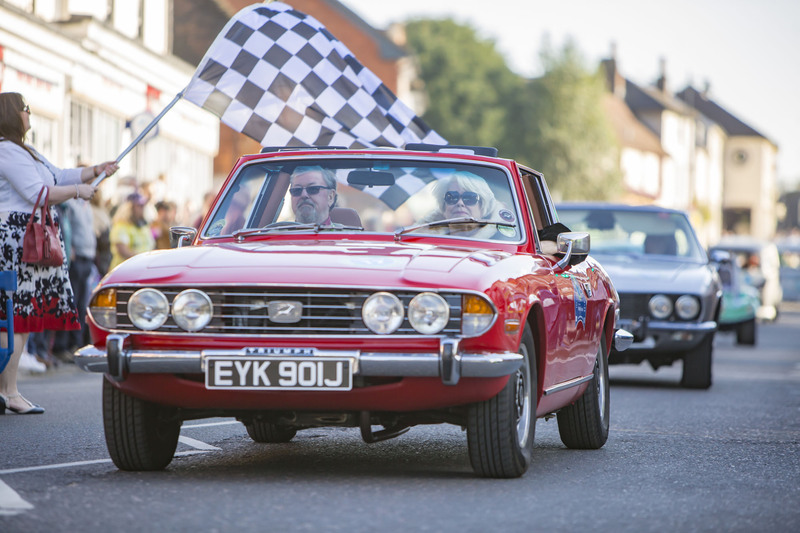 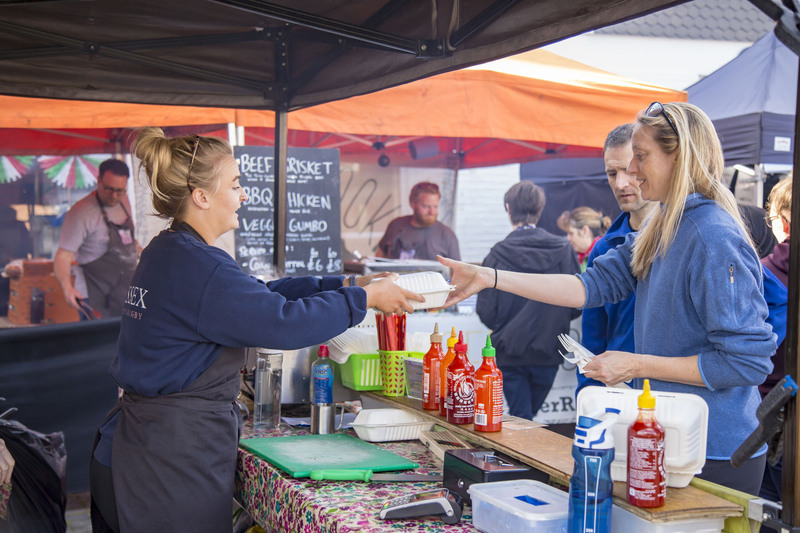 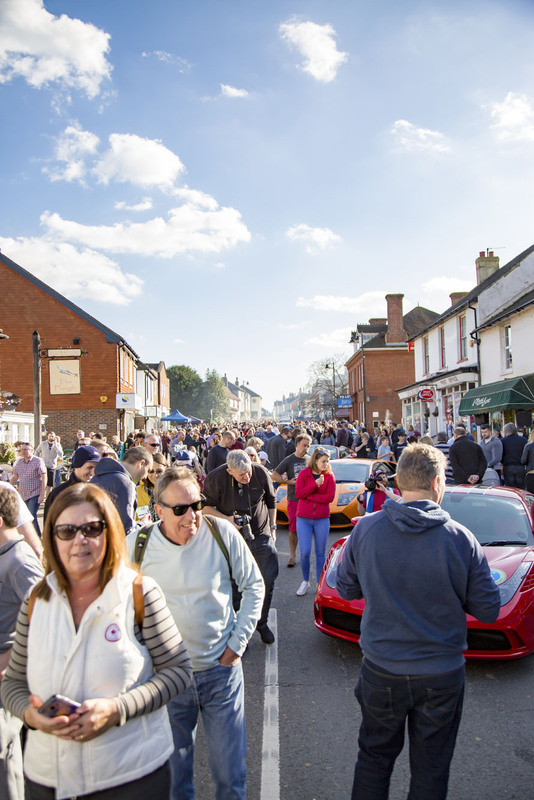 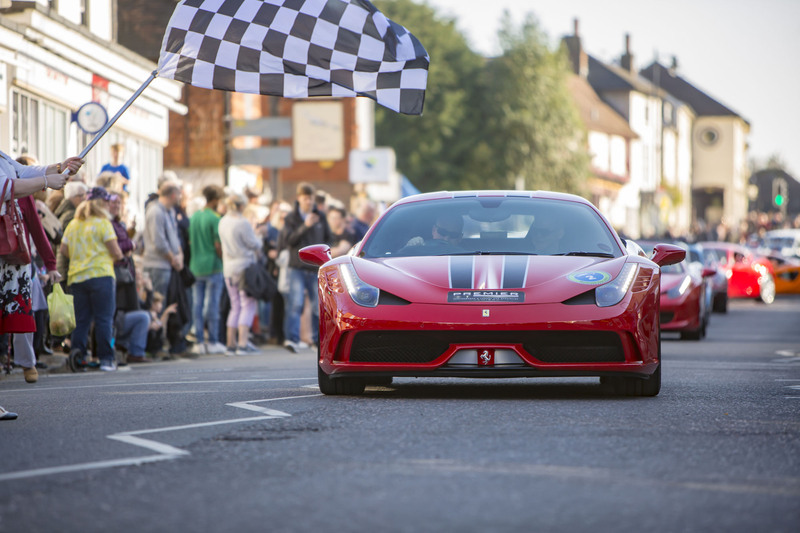 The whole event was declared an unmitigated success – with the biggest crowds seen in Henfield High Street for many years and a real sense of village pride, community and enjoyment. 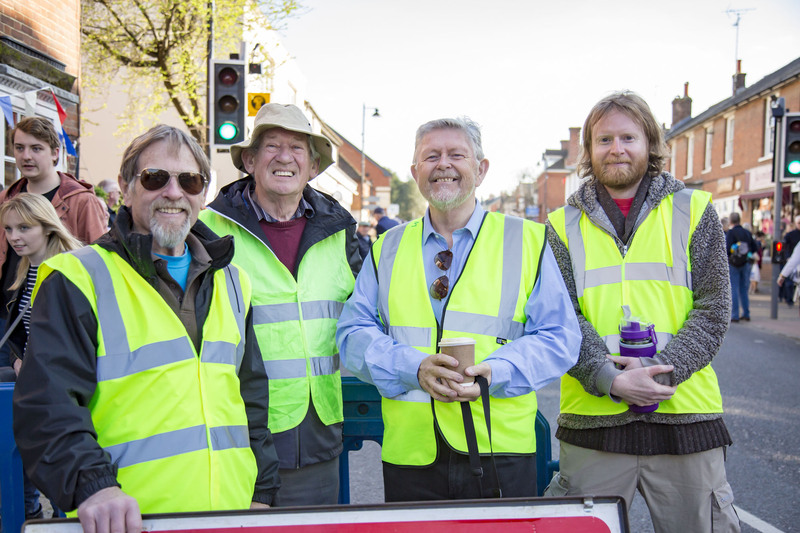 Huge thanks must go to volunteers from the Henfield Community Partnership and the Henfield Parish Council for organising the Henfield pit stop and to the brilliant marshals who kept everyone safe, also to Henfield sponsors Coles Automotive. 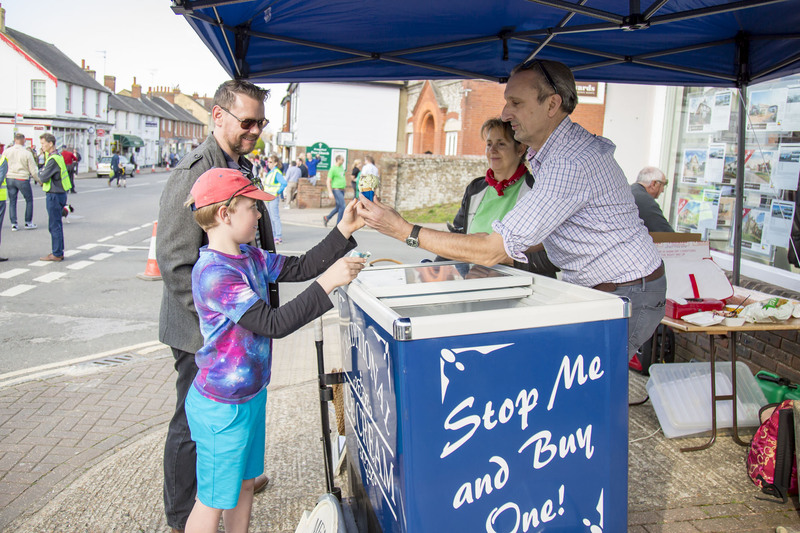 Most of all congratulations go to the team from Horsham District Council Year of Culture who managed to organise a magnificent Showcase Tour which, after leaving Christ’s Hospital School in Horsham at breakfast time, had visited the five market towns of Billingshurst, Pullborough, Storrington, Steyning and Henfield with minute-precision timing. 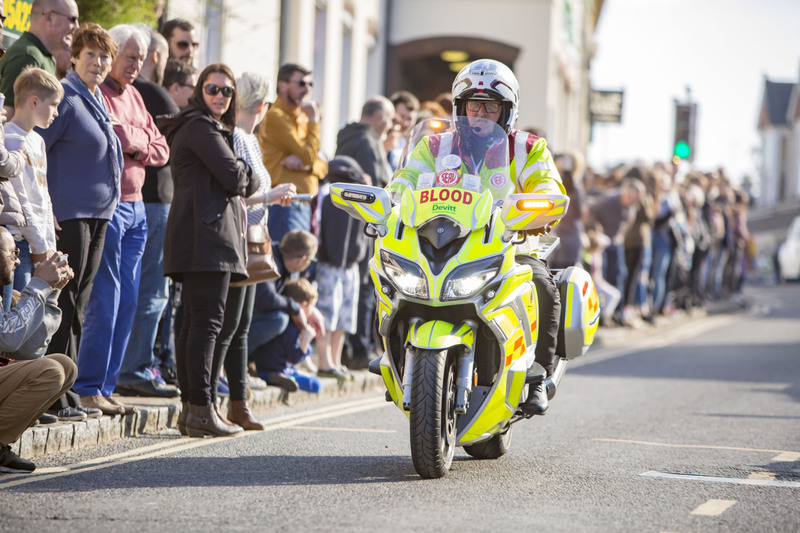 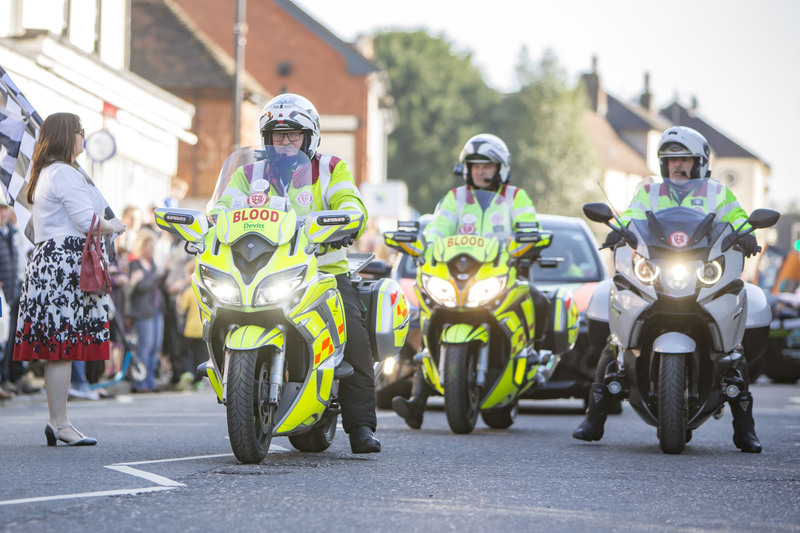 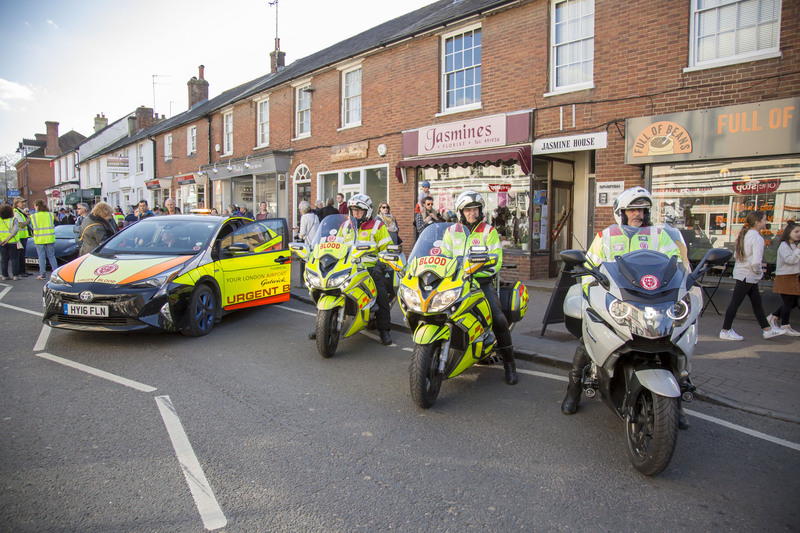 They were safely accompanied by the incredible biking volunteers from SERV Sussex, who during their ‘day jobs’ transport emergency blood and transplant organs for hospitals across the country, more on the charity in a future issue of BN5. 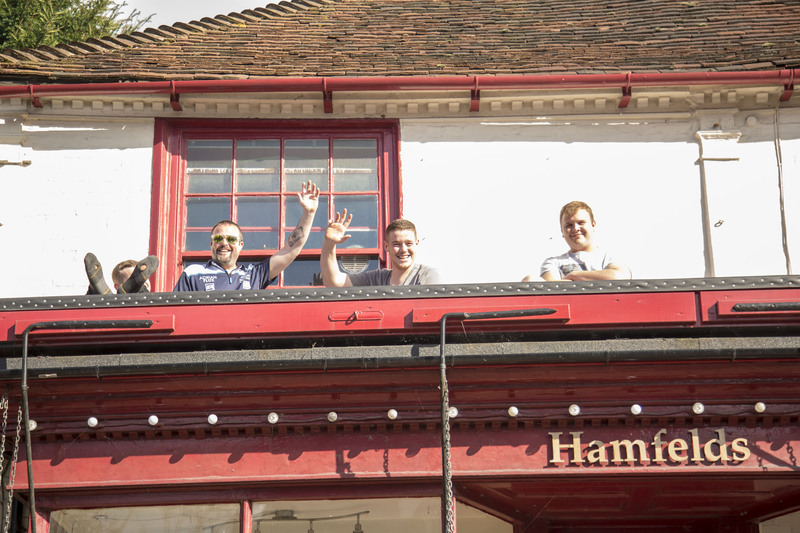 In our opinion the Tour left the best pit-stop until last, Henfield, you did us proud! 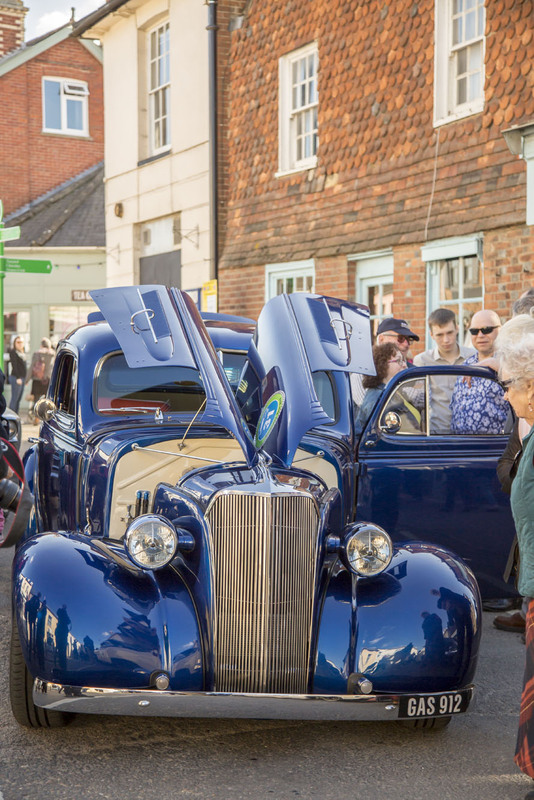 Congratulations to Truffles Bakery for winning the BN5 magazine ‘Best Henfield Car-Themed Window’ competition run on our Facebook page, and thank you to everyone who participated, opened their shops and hung out flags to make our village look fantastic.